National Geographic, with Appian Way and Warner Horizon Scripted Television, announced that The Right Stuff, an adaptation of Tom Wolfe’s iconic, best-selling nonfiction account of the early days of the U.S. space program, has been greenlit to series. Production will begin this Fall 2019. “The Right Stuff is about a moment when the country looked in the same direction to achieve the stuff of fantasy, and on a timeline that was nearly impossible,” says Lafferty. “The story is a reminder of what we’re capable of, but it also shows how much we’ve changed and diversified over time. National Geographic is the perfect home to showcase the ambitious and colorful characters at the center of this pioneering era"
Appian Way is a film and television production company founded by Leonardo DiCaprio. Jennifer Davisson serves as president of production. Since its launch, Appian Way has released a diverse slate of films, including Alejandro Iñárritu’s three-time Academy Award® and Golden Globe® winner “The Revenant,” Martin Scorsese’s Academy Award®- and Golden Globe®-nominated “The Wolf of Wall Street” and Academy Award®-nominated and Golden Globe®-winning “The Aviator,” along with “Shutter Island,” Scott Cooper’s “Out of the Furnace,” George Clooney’s Golden Globe®-nominated “The Ides of March,” the psychological thriller “Orphan” and an adaptation of Dennis Lehane’s critically acclaimed novel “Live by Night” with Ben Affleck, among others. The company has put forth strong efforts to gain headway in the documentary world, especially as it pertains to progressive environmental change. Appian Way worked in partnership with National Geographic to produce Before the Flood, a documentary that sheds light on climate change. It also worked with Netflix to produce the Academy Award®-nominated “Virunga,” directed by Orlando von Einsiedel. Appian is in partnership with Netflix on several additional documentaries, including the critically acclaimed “Struggle,” “The Ivory Game,” “How to Change the World,” “Catching the Sun” and the documentary series “Fire Chasers.” Last year Appian also produced the critically acclaimed documentary series “Frontiersmen” as a sequel to the “Men Who Built America” for the History Channel and “Jonestown: Terror in the Jungle” for AMC/Sundance, and currently is in production on a multipart documentary series about Ulysses S. Grant, also for the History Channel. Appian’s animated children’s series “Pete the Cat,” based on the famed books by James Dean, just received a second and third season pickup by Amazon and Alcon. The company also has multiple television projects in the works with Sony, Warner Bros, NBCUniversal, Fox 21 and MRC. A division of the Warner Bros. Television Group, Warner Horizon Scripted Television was founded in 2006 and is one of the entertainment industry’s leading producers of dramatic and comedic programming for the cable and subscription/on-demand marketplace. 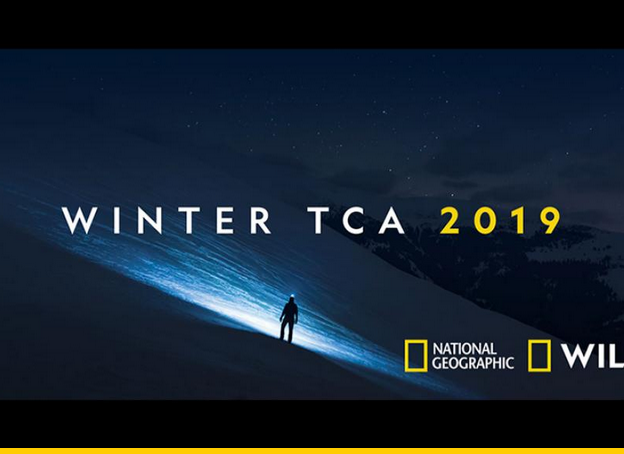 Series produced by Warner Horizon Scripted Television include “Animal Kingdom” and “Claws” for TNT, “David Makes Man” and “Queen Sugar” for OWN, “Fuller House” and “You” for Netflix, “Krypton” for SYFY, “Pennyworth” for EPIX, “Pretty Little Liars: The Perfectionists” for Freeform and The Right Stuff for National Geographic.